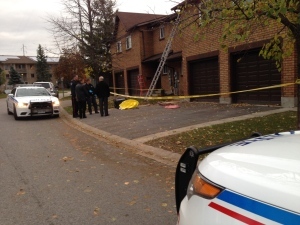 A 65-year -old man has died after a workplace accident in Barrie on Wednesday. Police say the man was cleaning eavestroughs on the second story of a housing complex around 3:15 p.m. when he somehow fell fell to the ground. Fire and ambulance crews performed CPR but the man was later pronounced dead.